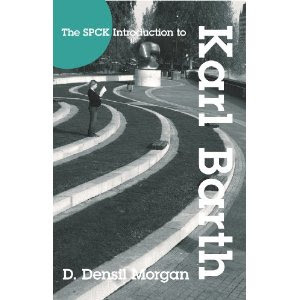 So if you need an accessible introduction to Barth to go with your new set of Church Dogmatics, I've got just the thing for you: the impressive and delightful Welsh theologian Densil Morgan has a nice new volume, The SPCK Introduction to Karl Barth (SPCK 2010), 116 pp. (also available from Amazon UK). Barth was an exciting thinker, and the best writing on Barth manages to capture something of that boundless energy and excitement. D. Densil Morgan offers a vigorous, fast-paced narrative that weaves together Barth’s life, his intellectual development, his turbulent political settings, and the overall shape of his theological work. He provides a remarkably clear and concise overview of the whole Church Dogmatics, with a welcome emphasis on Barth’s anthropology and the rich “humanism” of his thought.